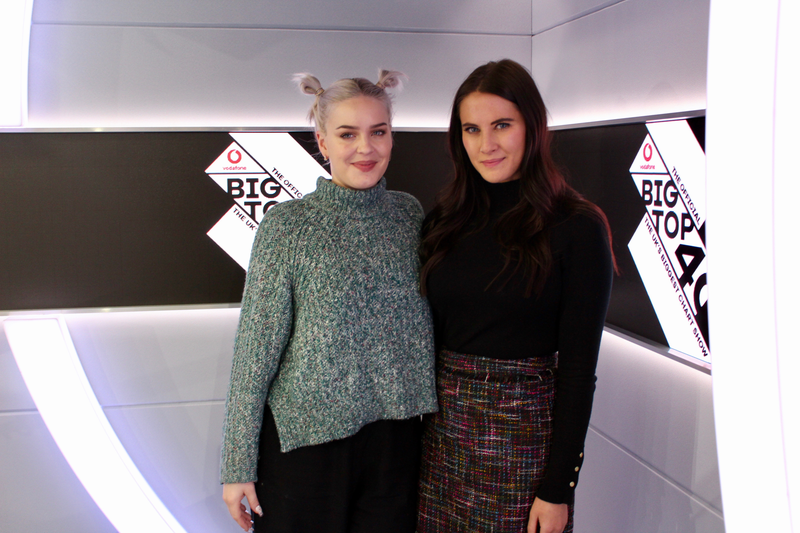 We knew Anne-Marie was gonna shock us when she popped by, but this is something else. If you know Anne-Marie, you know she's a pure unique one. Sure, she's got the voice of an angel, but what we're talking about is her incredible sense of humour. The 'Friends' singer swung by to visit Kat Shoob at The Official Vodafone Big Top 40 studio, to discuss her recent collaboration with Marshmello. Now, maybe Kat should have double-checked her questions for Anne-Marie, before she asked about his helmet. This caused the singer to crease up. For, like, hours. Which then got us creasing up for, like, hours. We promise we can be professional here. Sometimes. Sticking to tradition, Marshmello apparently didn't remove his helmet the entire time he was working with Anne-Marie on their entry, 'Friends', but now that Kat says it, it probably would be quite handy on a night out-out. > Where Did 'Friends' Get To This Week? Check Out The Official Vodafone Big Top 40 Now!